when we come to our office today we had a surprise - a gift. One of our clients sent us a box full of chocolate candies. 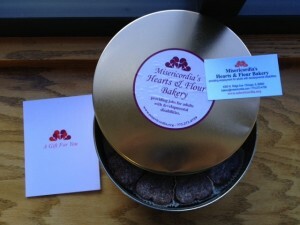 we are very grateful to Misericordia's Hearts & Flower bakery! .